Barry Slauenwhite brings a lifetime of experience and fresh clarity to the challenge of poverty in "Strategic Compassion"
Jesus proclaimed the good news for the poor. Have we distorted His message? This is the question Compassion Canada President, Barry Slauenwhite, challenges pastors and ministry leaders with in his book, Strategic Compassion, releasing September 2018. This new ground-breaking resource combines Barry’s decades of real-world experience and thoughtful theological engagement to disrupt some of our most deeply held assumptions about poverty. As Christ’s Church we are called to help those in need – but we have let ourselves become divided on how. The complexity of poverty itself can be paralyzing, especially to those called to lead others in following Jesus. In Strategic Compassion, Barry invites readers to learn more about the gospel-centric strategy to winning the fight against poverty – requiring more than our relief efforts or our evangelism individually. Barry argues it will require us to be strategic in our compassion, focusing on the full depth and breadth of Jesus’s good news for the poor. Barry joined Compassion’s ministry in 1983 and was appointed the third president in 1993. Barry has led the organization to experience more than a tenfold growth during his 35 years of leadership – 25 years as President and CEO – a result of being strategically compassionate. “I’ve had the opportunity to have many great conversations with pastors and ministry leaders over the years and I am so excited to address some of the biggest questions leaders encounter in missions and the quest to fight poverty,” said Slauenwhite. Some of these questions include: Should our missions strategies aim to alleviate people’s physical needs, or do we focus primarily on people’s spiritual or eternal needs? How closely are we following Jesus in proclaiming the good news for the poor? And, are our poverty-alleviation strategies effective? 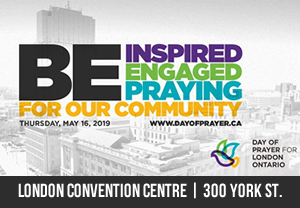 “I know few, if any, voices in Canada more qualified – in both experiential and spiritual senses – to help Christians address the challenge of poverty,” said Dr. David Guretzki, Executive Vice-President and Resident Theologian, The Evangelical Fellowship of Canada. In Strategic Compassion, Barry takes his lifetime of experience to guide readers through how we can reunite the Good News with good works in the fight against poverty. Learn more about Strategic Compassion here.